A couple of weeks ago, we wrote about a major new ballot initiative in Arizona. The proposal is a 50% Renewable Portfolio Standard (RPS) by the year 2030. Renewable energy has broad bipartisan support from Americans across the country, and Arizona is no different. Renewable energy has become the cheapest option for new electricity generation capacity and also protects the health of the state’s residents. So, one might think this 50% RPS would be a shoe-in. However, Arizona has been a top solar battleground state for years, particularly because the state’s largest utility doesn’t want rooftop solar cutting into its profits and solar power is so popular there that it is the #3 solar state in the country (in terms of installed solar power capacity). 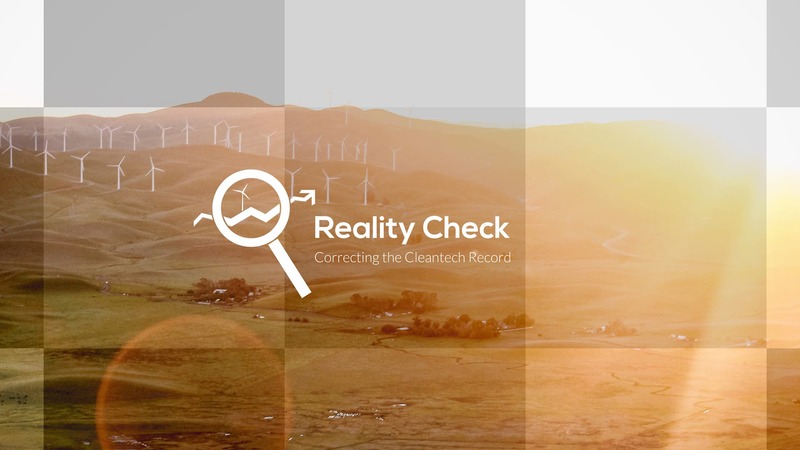 With this new ballot initiative rising in the news, misleading attacks on clean, renewable energy have returned. That can be expected in Arizona by now, but the disappointing part of the story is how poorly some local media outlets have covered the initiative. Reporters are supposed to uncover the truth, but pieces in local newspapers omit critical information and quote a utility-backed organization as if it is a grassroots organization (that is, without noting that it is actually a utility mouthpiece). Before going further, let’s acknowledge that not all coverage is bad. This piece in the Phoenix Business Journal highlights that 75% of Arizonans think the state should focus on solar power for future electricity needs, and it also acknowledges that an APS-backed group is fighting the initiative. It lacks any comment about the economic benefits of an RPS, but it’s a short piece and clearly isn’t aimed at being a comprehensive source of information about the proposal, so perhaps we can give it a pass on that point. But let’s look at some more problematic pieces and the mistakes they make. While all of these problematic pieces (see links in next section) note that the pro-clean energy initiative is backed by California billionaire Tom Steyer, they don’t make it clear that Steyer has no financial gains to be made from the initiative. He’s funding such efforts because he’s concerned that we are turning the global climate into a hot oven that we can’t turn off. He’s not providing funding to the pro-renewables initiative out of private financial motives. Perhaps that doesn’t need to be said, but when referencing a “California billionaire” in news articles directed at Arizonans, I assume nefarious motives come to mind and should be put to rest by indicating that the billionaire has nothing financially to gain from the clean energy initiative. One common thread throughout the local media coverage is that the journalists don’t call out Arizonans for Affordable Electricity as a utility-backed astroturfing campaign. They make it sound like a grassroots citizen campaign, when that’s not its essence. Making the battle sound like “citizens vs. California billionaire” instead of “large utilities vs. climate activists and hundreds of thousands of Arizonans” is sure to mislead readers. This error of omission concerning Arizonans for Affordable Electricity was a problem in this Phoenix Business Journal article, this FOX10 coverage, this Daily Caller story, and this Phoenix Business Journal article (the latter of which even used the phrasing “The Arizonans for Affordable Electricity campaign and Arizona Public Service have been pushing back” without indicating that they are essentially one and the same). As noted above, research has found that RPS policies come with net economic benefits. While all of the media outlets covering this story seem to have covered the utility company’s claim (quite possibly false) that the strong RPS will increase electricity bills, I have found none that highlighted the net economic benefits often seen from RPS legislation. Media coverage of this proposal routinely relays claims from APS that the RPS will make the price of electricity skyrocket. Without questioning that or at least teasing out the assumptions, such claims land in reader laps like gospel. With new wind and solar routinely offering the cheapest option for electricity, such claims seem hard to believe and misleading on the surface. I’d be curious to see the APS assumptions for solar and wind prices as well as other variables that went into the equation. Aside from not digging into those, the local media outlets didn’t even seem to question assumptions regarding this topic or acknowledge that changing a couple of simple assumptions could dramatically change the outcome. There’s also a highly misleading op-ed in the Arizona Capitol Times written by chairman of the board and president and CEO of Pinnacle West and Arizona Public Service (APS). That is an unfortunate contribution to the public discussion, but it should be expected from such a person and the most important point is that journalists should do better and not act as shills for utility companies. The Los Angeles Times does a much better job than the local outlets at putting the initiative into perspective. “Billionaire philanthropist Tom Steyer is financing the initiative through his NextGen Climate Action group, which supported similar efforts in Nevada and Michigan. But only the Arizona measure spawned a political battle, with the Republican-controlled Legislature passing a rule to help insulate utilities and the parent company of the state’s largest electricity provider bankrolling opposition messaging,” the paper writes. Well, it’s not that hard to understand. A move to renewable energy will probably put more money in the pockets of homeowners and less money in the pockets of rich utility investors and CEOs. The desire for more money rather than less has likely been the sole reason for utilities pushing back so strongly politically and financially. For related APS controversies, scroll through our APS archives and check out this article and this article from the Energy and Policy Institute. In regard to the issues above, I asked the reporters of the referenced media outlets whether they were aware that Arizonans for Affordable Electricity was funded by APS, if they have investigated in any way APS claims that the initiative would increase electricity rates, and if they have researched net costs/benefits of RPS legislation. I have not received any responses to those questions but will update this article if I do.